Making a wreath with your kids is a great way of spending time together and getting creative this season. There are tons of wreath ideas all over the internet, and the one you choose to make depends largely on what style you’re going for. If you’re making one with your kids, you might want to make a bright, colorful wreath that is fun to look at. You can literally put whatever you want on a Christmas wreath. You could make one that’s just lots of Christmas baubles, use candy canes to decorate it, or make felt Santa or snowmen to adorn it. Alternatively, if you’d rather make a sophisticated wreath that is more cosy, cabin style than funky, you can use burlap, natural leaves and berries, or vintage ribbons. The Nesting Place snowball wreath is a great example of how you can achieve a classy feel at a fraction of the normal price. 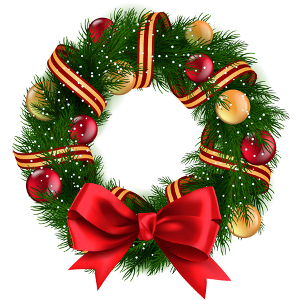 Wool wreaths usually cost hundreds of dollars, but this wreath can be made for less than fifty. 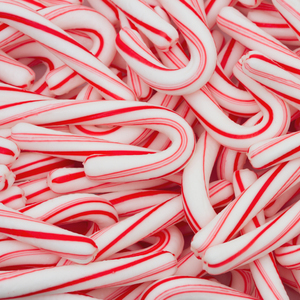 An idea brought to us by Ellyn Zinsmeister of Ellyn’s Place, candy sleighs are guaranteed to make your Christmas a lot less stressful this year. More fun and less stress at the same time: yes, it’s true! You and your kids can get together and make DIY candy sleighs that can be given as gifts to everyone from their classmates at school to your next door neighbor. This has to be the easiest way to figure out what gift to give people who aren’t family or close friends. Take a weekend or two and make up batches of these, and keep some spare just in case. Plus, your kids are going to love putting them together. It’s so easy to do that you can pretty much leave them to their own devices while you work on another project like writing all of your Christmas cards. 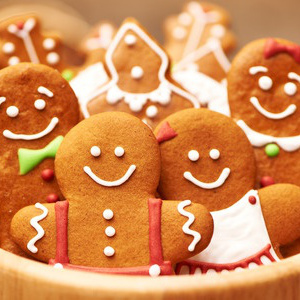 Bonding with your kids in the kitchen is fun any time of the year, but during the Christmas season it’s extra special. You are going to absolutely love making these mini cookie snowglobes with your kids on the weekends! The idea is credited to I Heart Naptime, a food and lifestyle blog which contains recipes, crafts and ideas aimed to help families create unforgettable moments. The mini cookie snowglobes bring together crafting and cooking, and the fact that they’re mini really adds to the overall cuteness. You start off by making Christmas cookies and decorating them however you like. You then secure them onto circular cookie bases using frosting, and stick them onto the lid of a glass jar using royal icing. This means that you can actually shake them like a real snow globe! Make sure you leave plenty of time for the icing to dry. The final stage is to figure out what to use for your snow globe snowflakes. This is so fun! Everything inside the snowglobe is edible, so the snowflakes could be any type of sprinkle: white, gold, multicolored. Then you simply close the jar upside down and you have a mini cookie snowglobe, ready to be enjoyed and then eaten! You can spend as much time as you like decorating the jar. You might want to leave the glass part pretty bare so you can enjoy shaking the sprinkles around, or you might want to achieve a frosted look. You can also have fun decorating the lid of the jar, even doing tiny writing in gold or silver pen to add to the Christmas feel. Not only this, but you can use any jar from your cabinet or refrigerator to make these snow globes, so you don’t have to spend extra buying a mason jar. This recipe is for mini snow globes, but you can make them whatever size you like. This is an excellent idea for a DIY family project during the Christmas season.